Ombre hair is a very hot trend, popular with celebrities like Rachel Bilson and Olivia Wilde. 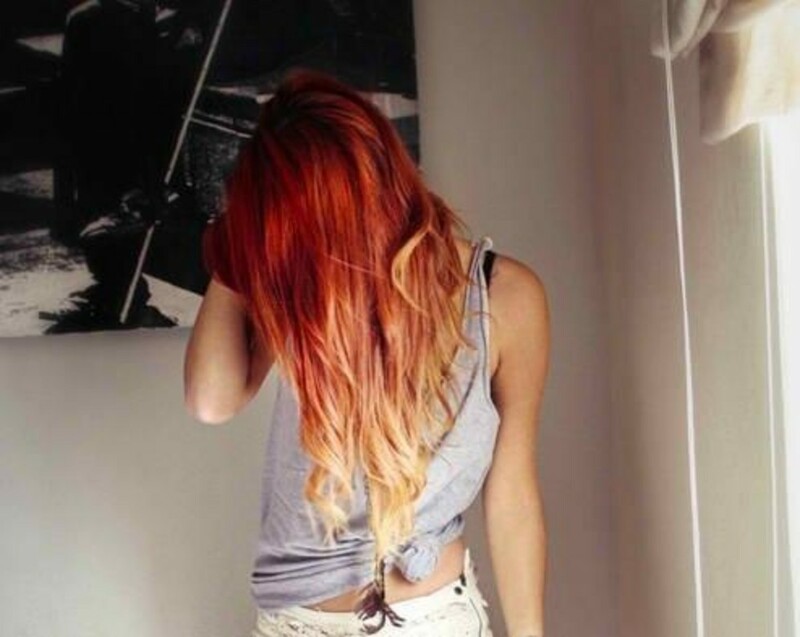 "Ombre" refers to something that gradually changes from one color to another; hair that gradually changes from brown to blonde, or from blonde to red, is a good example of this type of hairstyle. 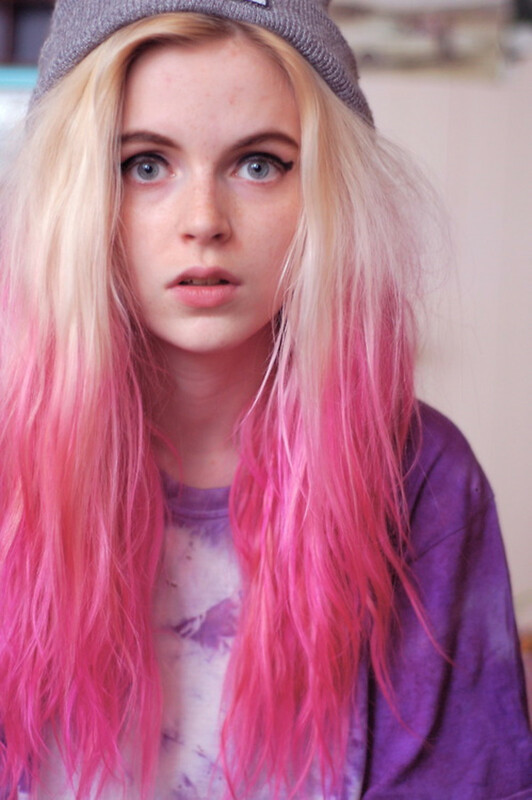 It's also sometimes called a "dip dye" look. You don't need super-long hair to pull this look off. As long as your hair is at least chin length, you should be fine. You don't have to limit yourself to one color, either; some people dye the ends of their hair a more intense hue of the color they have in the middle of their hair, creating a gradient effect. If you just want to try out an ombre look for a party, you can use colored hairspray to get a very cute ombre look that will last until your next shower. If you're looking for something more permanent, I recommend finding a hairstyle you like and going to a beauty salon for a cut and coloring. If you're really experienced with dying your own hair, by all means try it yourself, otherwise leave it to the professionals! Lauren Conrad with ombre hair. The word ombre (pronounced om-BRAY) refers to anything that gradually changes from one color to another. An ombre dress, for example, might gradually change color from blue to white. Ombre hairstyles don't dramatically change color from brown to gold; instead, the hair gets lighter and lighter as you travel further down the roots. Reverse ombre is when you dye the top part of your head a different color and leave the ends of your hair their natural color. If you're a brunette, you might dye the top of your hair blonde and have dark ends to your hair. We'll cover that a little later down on this page. 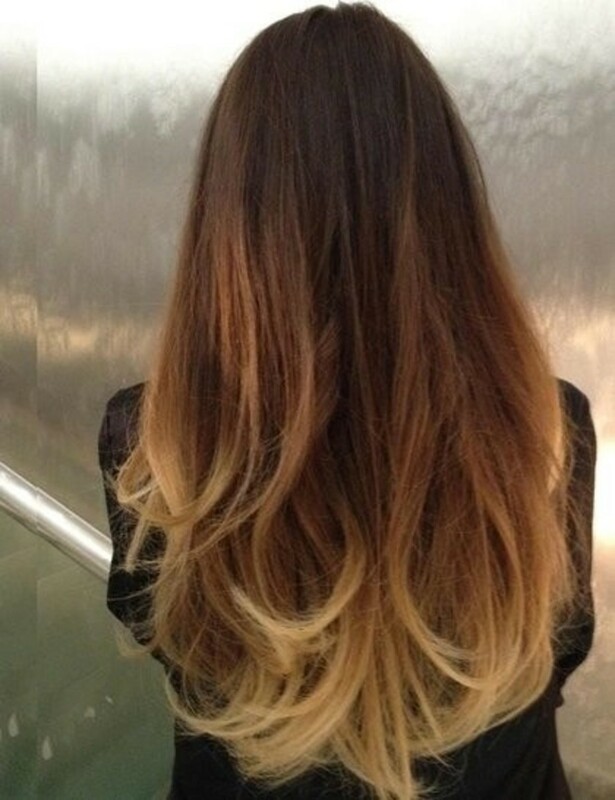 There are "subtle" types of ombre hair, where the hair color might not change very much, e.g. from light brown to caramel blonde. 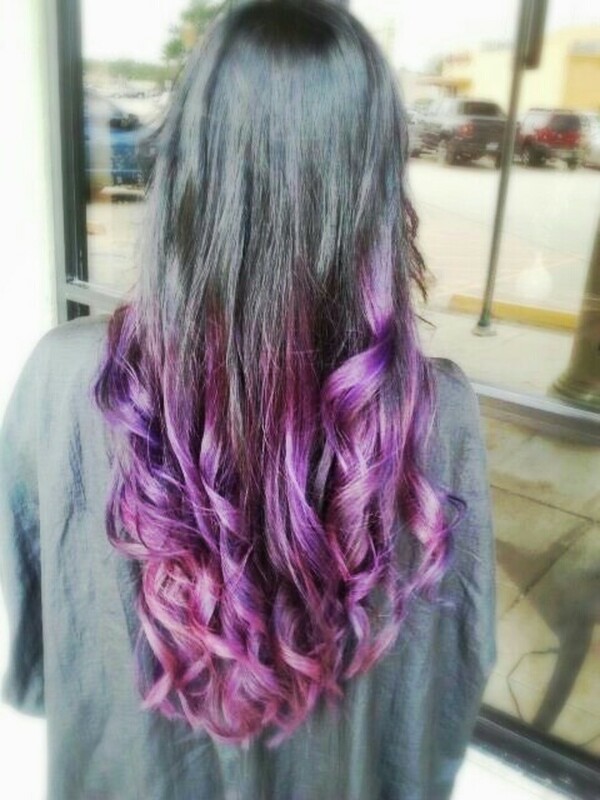 You can also have ombre hair in purple, red or even rainbow shades. Scroll down to find the hairstyle that's right for you. Experiment with ombre hairstyles with this complete hair chalk kit. 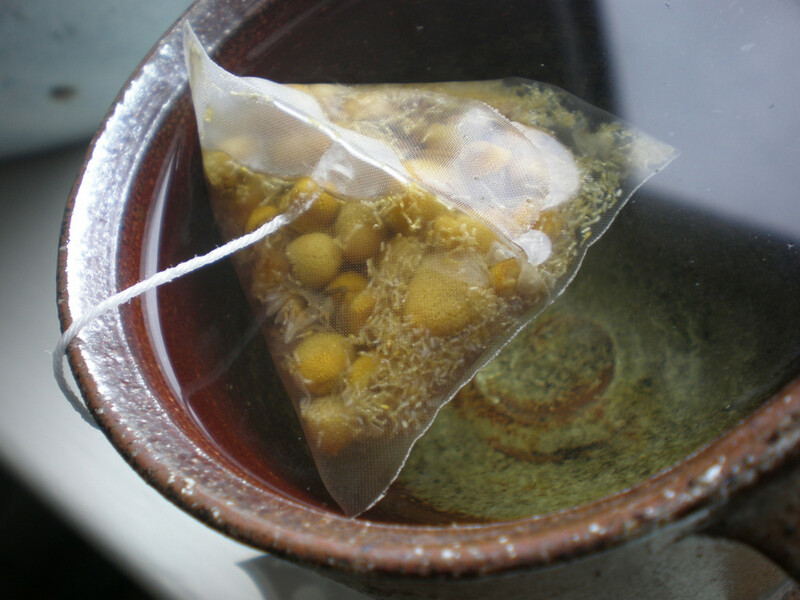 This at-home hair color comes in several "wild ombre" shades in browns and blondes. If you're experienced with dying your own hair, try out one of these hair kits to start out with. You can also use hair extensions, such as these red to purple ones, to get ombre hair whenever you want it. Dark brown hair is a great color for trying out blonde or red ombre hair. Pretty much any shade looks good with dark brown hair. Whether your hair is curly, straight or permed, you should consider one of the hairstyles below for yourself. 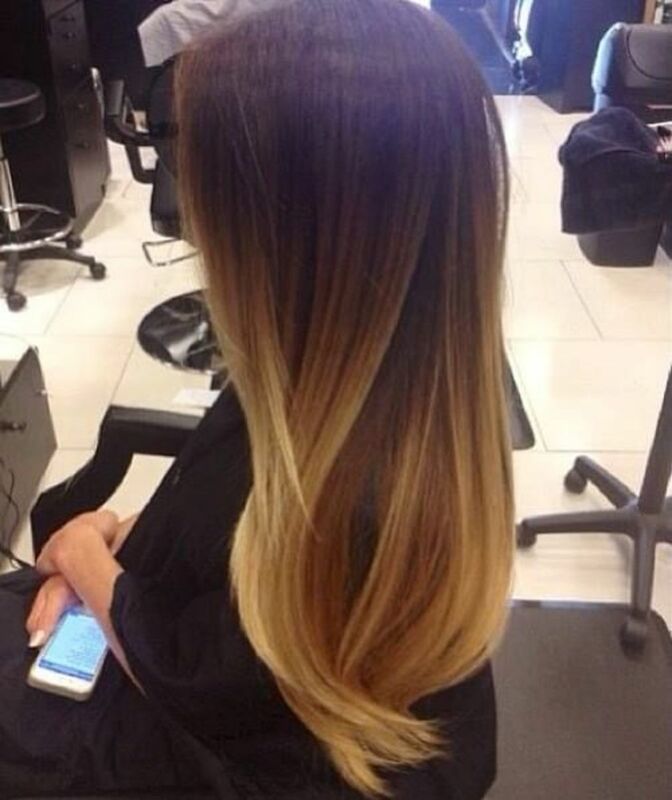 Brown to blonde ombre hair is very trendy. 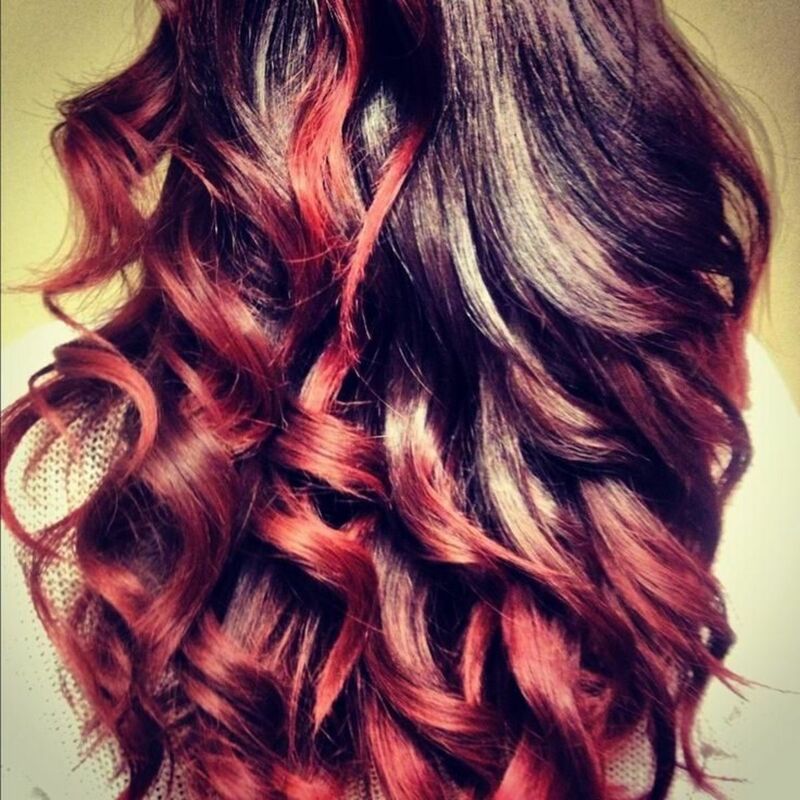 If you're looking for something a little more unusual, try a red or even a purple ombre hairstyle. Scroll down to see some more pictures of different hairstyles that can work for you. 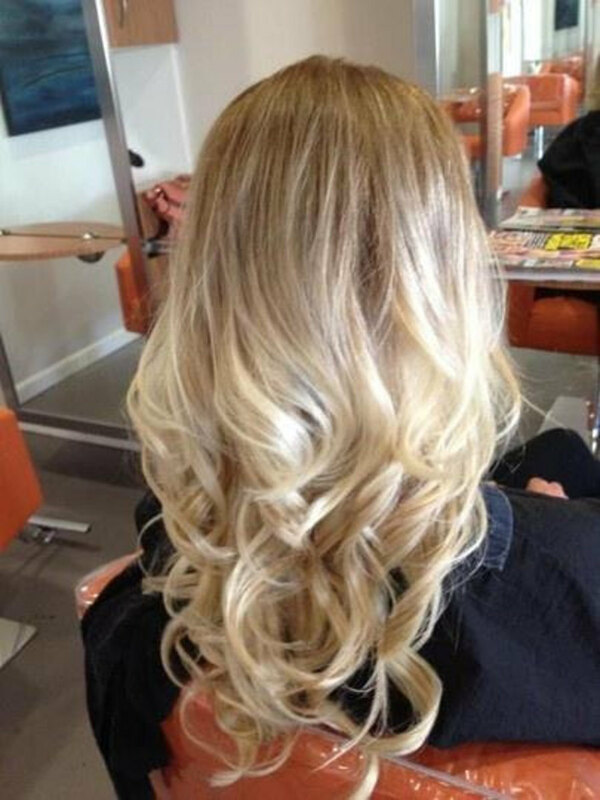 Brown to Blonde Ombre Hair - Super-trendy and gorgeous when done right. 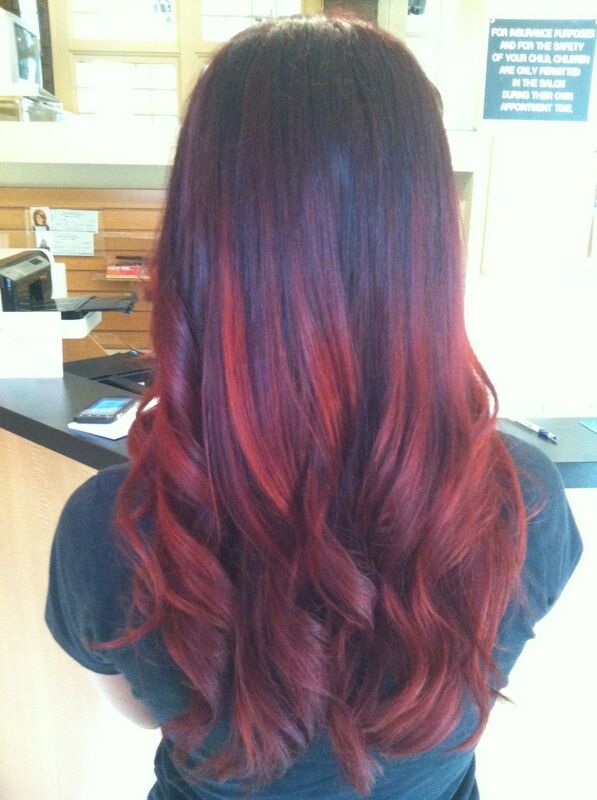 Brown to Red Ombre Hair - A versatile rocker look. Great for wavy and curly hair. If you have blonde hair, you're in luck. 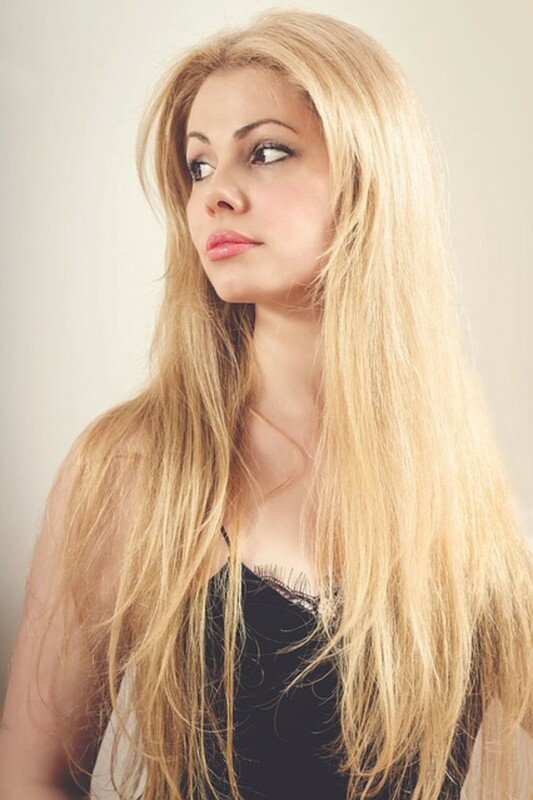 Ombre hair is pretty easy to get with blonde hair, since dye shows up well on light-colored hair. 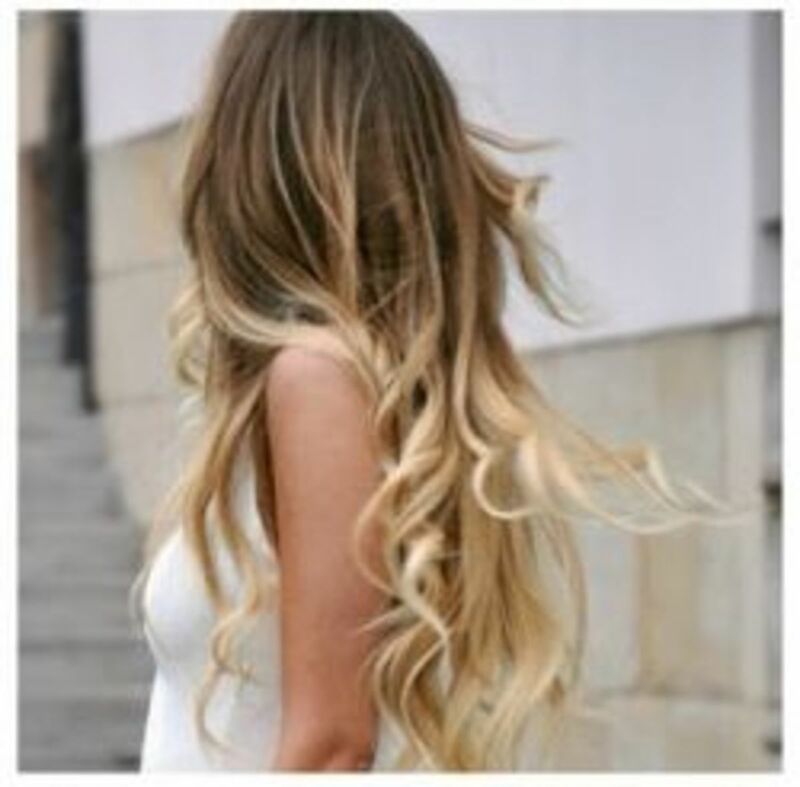 There are many different ombre hairstyles for blonde hair, either straight, curly or wavy. If you have golden blonde hair, you might consider getting a platinum ombre look, or adding some pink ombre for a party or a weekend out. You can also try a reverse ombre hairstyle, with red hair at the top, and the tips of your hair are your natural blonde hair color. 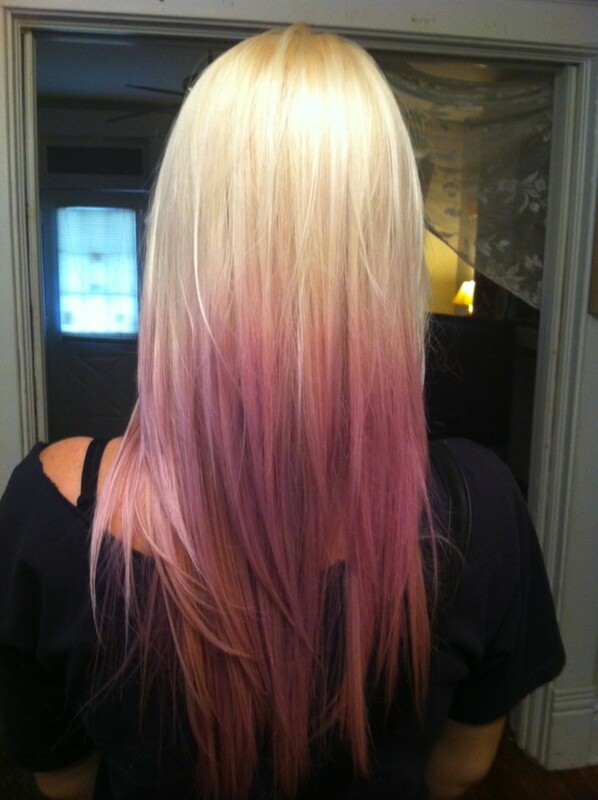 If you want to get pink or blue ombre hair, try using kool-aid to get a brightly colored dip-dyed look. Warning: this look may be permanent. If you only want temporary hair color, scroll down to see how you can use hairspray or hair chalk to get temporarily ombre hair. This kool aid comes in many different flavors and colors, including red, purple, orange and blue. 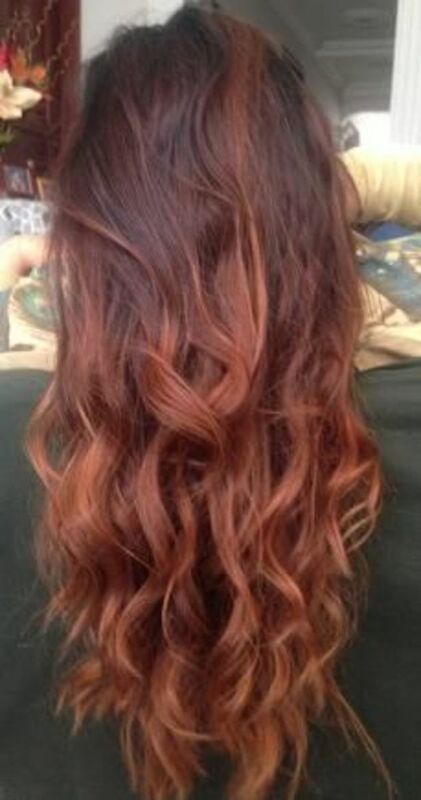 Reverse ombre hair is when you color the hair at the top of your head, and leave your natural color at the tips. It's a very hot look that's been worn by stars like Beyonce and Gwyneth Paltrow. This style can be a bit challenging to do yourself, so I recommend going to an experienced hairstylist to get this look. 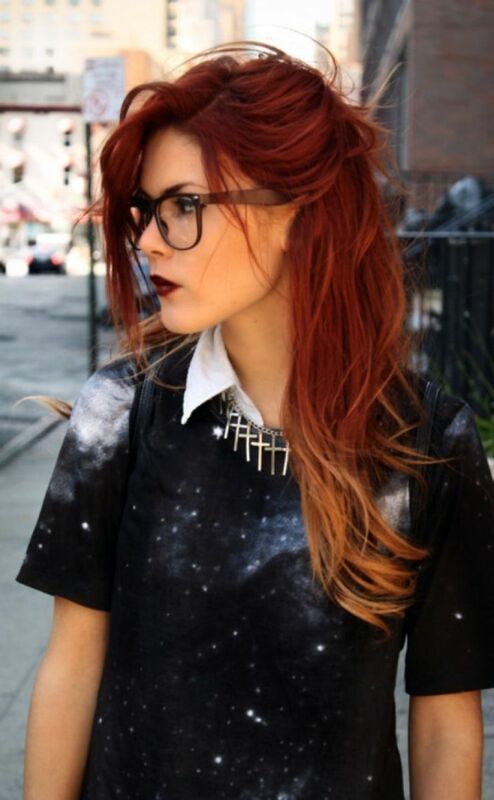 Red to blonde ombre hair is a very hot look with a slightly hipster vibe. Bright red hair with blonde tips looks great on almost all skin colors and undertones. If you're a natural redhead, consider dying the tips of your hair blonde or using blonde hair chalk to give yourself a temporary ombre look. Ombre Styles for Short Hair Gallery - You don't need long hair to try this look. See for yourself! 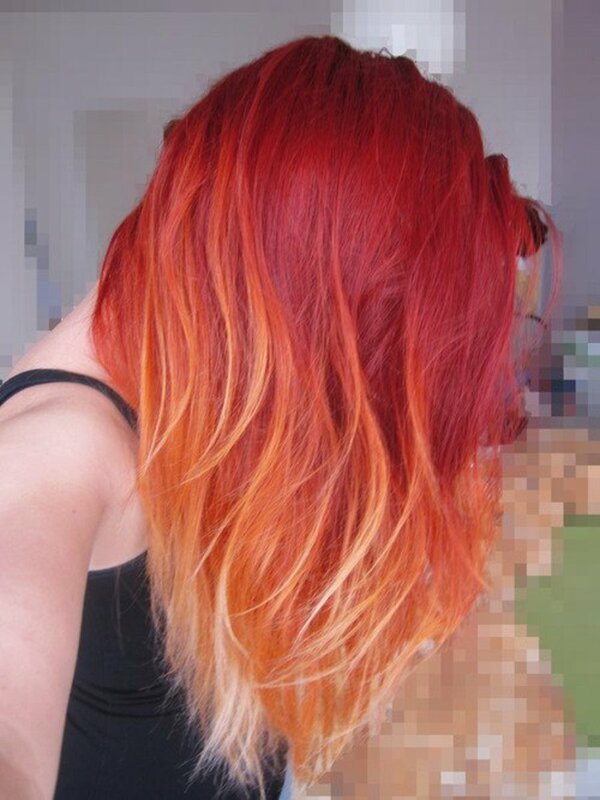 If you want to try ombre hair for a night or two, consider using some colored hairspray on the ends of your hair. These colored hairsprays wash out with shampoo, and they come in all different colors of the rainbow, from natural colors (blonde, brown, red, black) to alternative colors (purple, blue, green, pink. and more). Watch the tutorial video below to find out how you can get ombre hair with these colored hairsprays, then pick out the color you want for your own hair. This video tutorial will show you how to get an ombre look with colored hairspray. 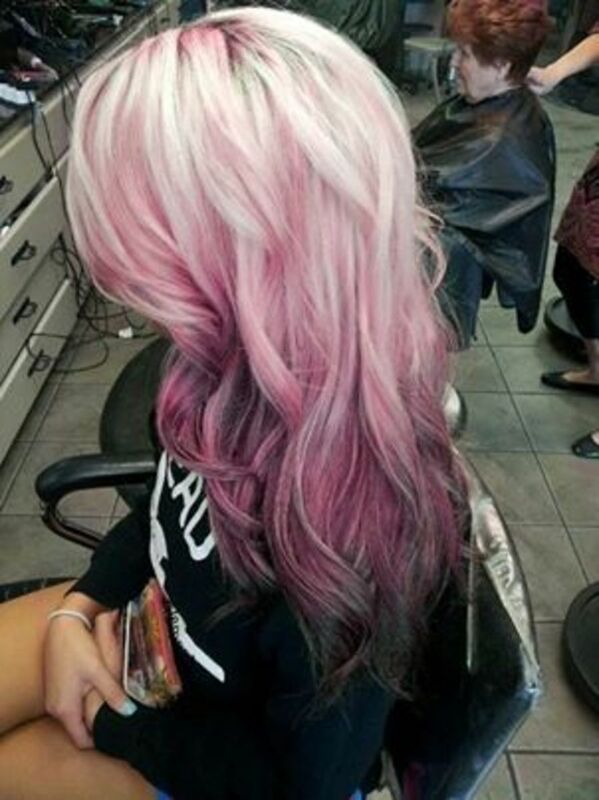 Pink ombre hair looks great with light brown hair, blonde hair and blonde highlights. 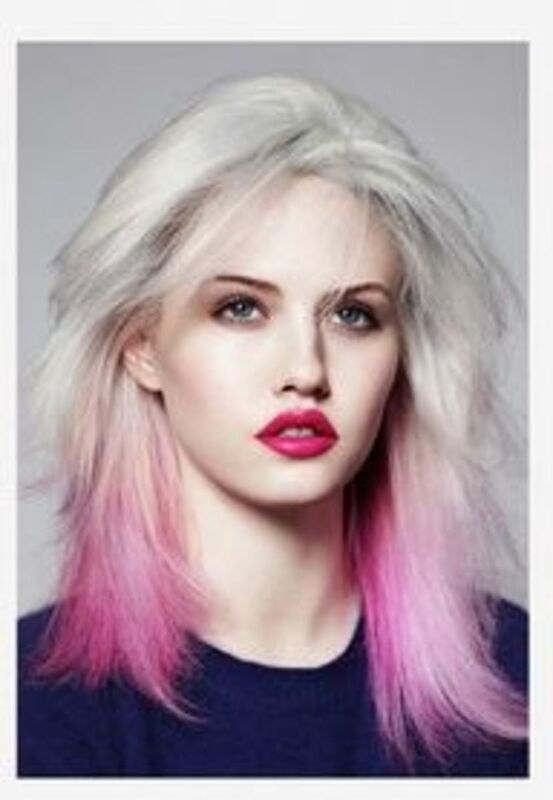 If you already have blonde tips, consider using pink hairspray to give them a bit of a different look. Blue ombre hair is a great choice for people with blue eyes who want to try a more unconventional look. If you have green eyes, some green ombre tips will help accentuate them. Best of all, you can wash this hairspray out in the morning and your boss will never be the wiser! Temporary Hair Color Hairspray Black Light UV Reactive Colored Hairspray Great For Costume or Halloween Rave Party Concert Hair Spray Use in Well-Ventilated Area! Going to a rave or Halloween party? This hairspray will make your hair glow under black light! Try out a natural ombre look before taking the plunge with hair dye. Get intense golden blonde highlights, tips or ombre hair with this hairspray. Black ombre hair looks great on people with light to dark brown hair. Get white ombre hair with this hairspray. Great choice for people with black or dark brown hair to add some contrast. 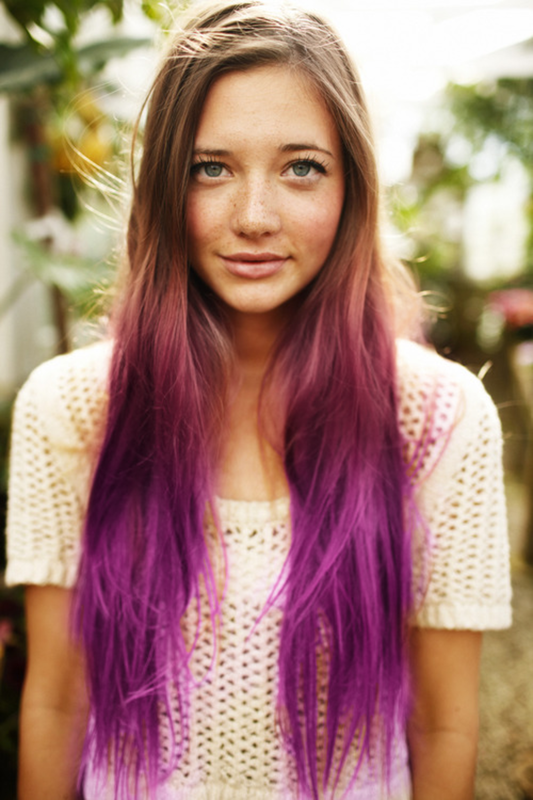 You can also use hair chalk to add color to your hair. 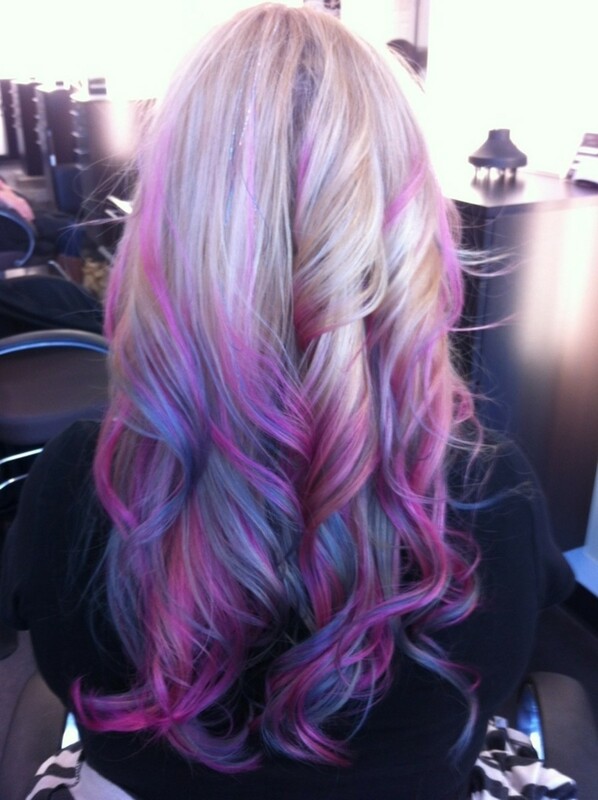 This is a great way to experiment with different ombre looks that wash out. It also makes it easy to get a multicolored rainbow ombre look. Watch the video tutorial below to learn how to use hair chalk to get ombre hair. 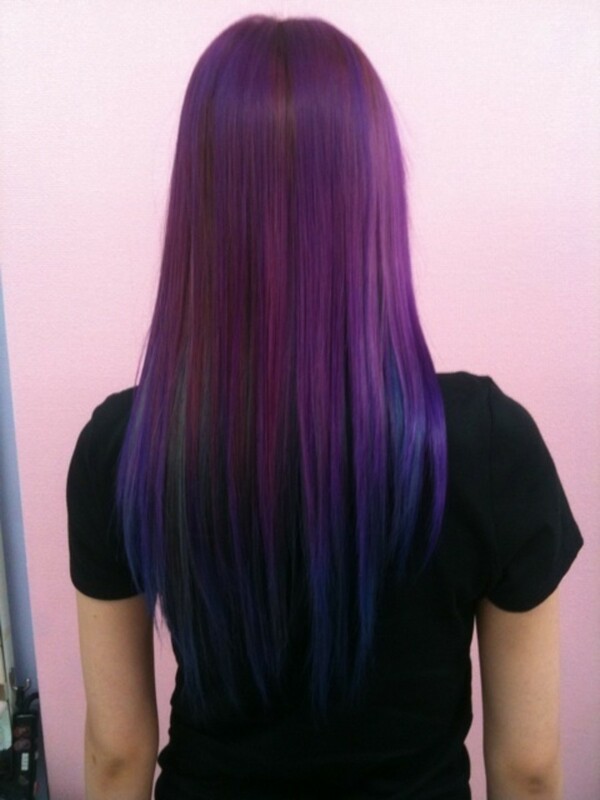 In the tutorial, the young woman uses purple hair chalk, but you can try it with any color you want. This hair chalk kit includes natural and alternative colors, from browns to blondes to purples.